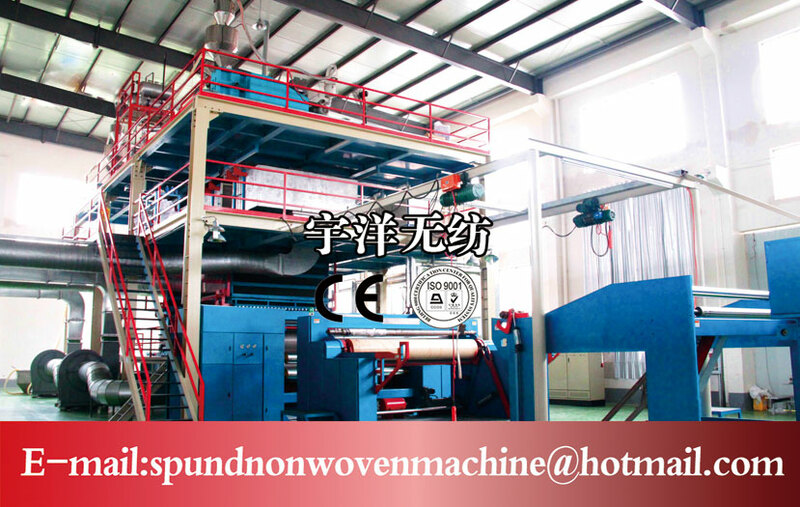 The SS1600 polypropylene spun-bonded nonwoven product line has two dies so that the product of SS nonwoven production line has greater intensity, better breathable feature and better feeling and the output of SS nonwoven machine is larger than S nonwoven machine. The production rate of SS non-woven machine is between30m/min and 300m/min. Moreover, the product of SS nonwoven machine is more suitable for masks, filtering material and so on. The whole line consists of two spinning boxes, extruding machine, melt filter, measuring pump, refrigerator, winding machine and so on. 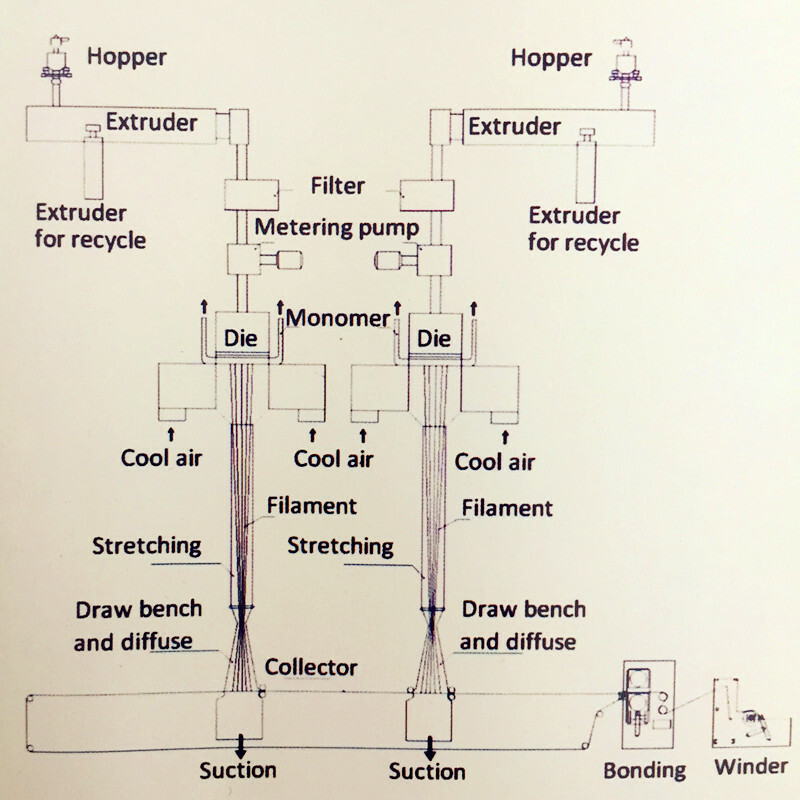 These main components of the SS1.6 m nonwoven machine are manufactured by professional factory in Changzhou,Shanghai or Wuhan. Also, the rest part of the SS1600 PP Spunbond Nonwoven Fabric Line is manufactured by ourselves since our company has a large number of professional engineers and technicians. For product which product weight is 60g/㎡, width is 1.6 m, the capacity is around 10000 KG/day. SS power consumption is around 500 KVH/ton-800 KVH/ton, and real energy consumption is decided by specifications of the product. Customer demand is our pursuit. If you have any question or any special requirement of the 1600 double beam spunbond nonwoven product line, please contact us directly. We will response you in 24 hours. Looking for ideal 1.6m SS Nonwoven Machine Manufacturer & supplier ? We have a wide selection at great prices to help you get creative. All the SS1600 Nonwoven Fabric Line are quality guaranteed. We are China Origin Factory of 1600 Double Beam Nonwoven Machine. If you have any question, please feel free to contact us.